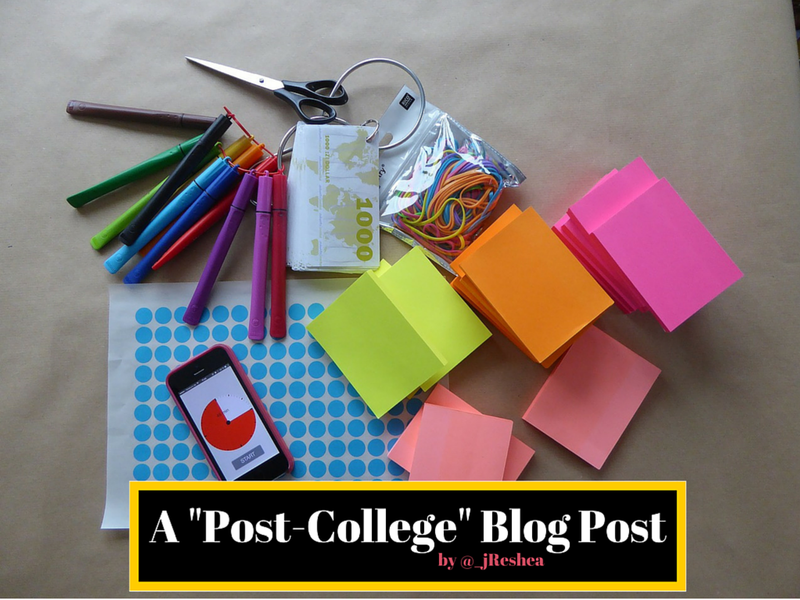 “Post-College” is a series of blog posts featuring everyday young people as they work to achieve the life and career that they dream of. Few of them find themselves in places that they mapped out and most of them are okay with that. Kertesha Riley is a 28 year old career counselor. I’ve held one professional position (Sciences Career Counselor at a liberal arts college) prior to my current one. In general I think I am proud of the work I did there. I think I did a good job of defining the position (it was a new position I stepped into), and interacting with students. However, I think I could have done a better job of advocating for support in the role, instead of letting the stress and discontent pile up. In general, I don’t think an entire position/job has been disappointing. What can be disappointing is it not turning out to be what you expected. I think that’s what happened with the previously mentioned job. What was also disappointing to learn is that, at the end of the day, the only person looking out for you and your career interests is yourself. That was the hardest lesson to learn, but it also taught me to guard my time and my development as a professional. With a Master’s degree in Marriage & Family Counseling, a lot of people don’t see the connection between that and career development! Lol That’s fine, because neither did I at first. Thanks to some awesome professors and mentors, I began to see that your career decisions can’t be made independent of who you are or your upbringing. Thus, I looked at family influence on career decision-making during my graduate internship in the career center. That’s where I was introduced to career development as a whole, and fell in love with helping students navigate the waters of post-graduate life. My two professional positions have been in career development, so I’ve just continued growing and learning about the field through them. What would you say is the most invaluable information or advice you could pass on to those who are looking to break into your field? My biggest piece of advice is to…wait for it…use your career center! Well before I started interning at my career center, I used it to help me through my own career “crisis.” I spent a lot of my undergraduate career wanting to be a doctor. When I got kicked out of my major, it felt like my life was over. Going to the career center, I was able to assess my interests and values, and connect that to different majors and career fields. Having had that experience, I was open to interning at the career center when it came time to choose a graduate internship site. From there, I was able to get a job as a career counselor. One of the many things I love about higher education/student affairs as a whole is that working in ANY department prepares you to transfer around. The skills you gain in one area working with college students nicely transfers to working with college students in various capacities. This is an EXACTLY question! I spent almost a year in a position that I no longer enjoyed. What I learned from that is what I value in a work environment. It’s important for me to work with people that I can respect, get along with, and are interested in growing with the changes in the field. It’s important to feel supported by my supervisor, and to receive constructive feedback on my performance. It’s important that I have a say in how the organization of the office should change (when appropriate). In those lessons, I’ve also learned that I have a say in how I let circumstances affect me. If I don’t like something, I can speak up about it in a professionally appropriate manner, and that I NEED to do that! People aren’t mind readers. So, while it was a difficult time for me, I’ve been able to learn from it and carry that into my new position. College in and of itself did not prepare me for what I’ve experienced since graduating. That’s not a knock on my institution by any means; I just think colleges are inherently structured to only provide you with the opportunity to gain knowledge and real-world experience. Unfortunately (or fortunately, depending on how you look at it), it’s up to us as students to seek out those opportunities. I’m a naturally social and involved person. My family is very much like that. So, I got to college and started working, joining clubs, etc. Through those very diverse experiences (I was in a sorority, was an RA, and had random jobs like being a standardized patient for the medical school! ), I figured out some of my interests and was able to build on them. Not everything worked out how I expected it to though, and I didn’t really have someone guiding me on what types of experiences I should be seeking out. So, if you don’t have one, find a mentor! That should be your first step. Secondly, go to your career center! At minimum, they should be able to help you figure out what steps you need to take in order to break into a certain field. Make sure you’re doing well in your classes, but get out there and get involved! Join organizations, volunteer, work a part-time job, study abroad…it doesn’t matter. Employers – no matter the field – value hands on experience in conjunction with academics. As a professor once told me, I’d rather you get a B in my class if that means getting an A in life. I believe that, regarding what I’m doing today, about half of it is due to formal education and the other half due to outside experiences. That division isn’t split down the middle; it’s very much woven together! An underlying current is my personal connection to the field. I think that compels me to continue learning best practices in career development, so I can better serve students. However, more than anything, it motivates me to remember that I’m dealing with a person, with real concerns and stresses and fears. I know what that feels like, and because I’ve been there, I make sure I’m doing all I can to help them meet their needs. Formal education is important, but it won’t sustain your work without passion and personal motivation. My biggest “resource” was completing an internship in the field. I got to see first-hand what goes on, and then make an informed decision about pursuing it further. I like to read, so finding research or articles helped me gain insight as well. Also, attending conferences in your field is a good idea. Surprisingly, social media has helped in this area a lot (specifically LinkedIn and Twitter). It’s the quickest way to interact with current professionals and get info in real-time. You can even connect with people and do informational interviews – basically ask them questions about how they got to their position and can they give you any advice. Honestly, I went to counseling. I’m not great at talking about my feelings (yes, I know I’m a counselor lol), so I was holding all of the stress inside. I couldn’t talk about it with my coworkers, and most times my friends just didn’t understand what I was going through. Having a counselor really helped because they were able to see this objectively, and point out what I hadn’t been able to see. It doesn’t have to be a professional counselor; you can also go to your clergy member or a mentor. The key is to not keep it to yourself, to not keep that inside. Once I was able to talk through the emotion behind it all, the fog cleared up enough for me to start doing something about it. I’m currently in the process of setting some goals, so I don’t have specific ones. However a big one is going back for a doctoral degree! The biggest way I see myself investing in my career is going to back to school. However, well before that, seeking professional development opportunities (conferences, webinars, continuing education, etc) is the easiest way to invest in your career. Often times, your employer will pay for it. If not, I highly recommend negotiating it. Don’t be afraid to change your mind. Your “career” is a journey, not just one job. Always seek opportunities that will keep you learning and growing! That wraps up Kertesha’s interview. This entry was tagged career advice, career counselor, career stories, features, Kertesha Riley, Post-College. Bookmark the permalink.